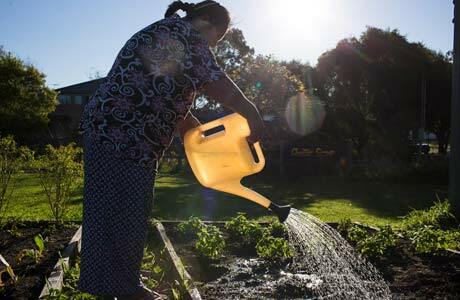 What started as a small initiative by a group of motivated Karen individuals to grow their own vegetables in a community garden has become an important way for the community to address issues related to trauma, unemployment and access to familiar food. When I’m here I feel alive. All of my pain is gone. The Karen are a persecuted ethnic group from Burma/Myanmar. 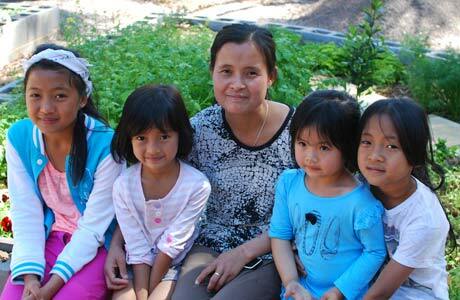 Since 2005 many have resettled in the south west of Sydney after many years spent in Thai refugee camps. The majority used to live in rural areas working on paddy farms, gardens and orchards, so they were keen to find similar work on farms and gardens in Australia. This is what led to the Community Gardens Project, which was initiated by the Karen community for their community and built on their existing strengths. 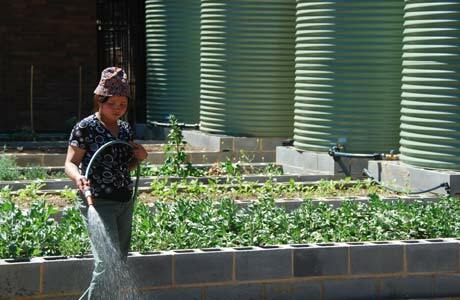 Since 2009 STARTTS has supported the Karen community to establish 3 community gardens in Villawood, Chester Hill and Fairfield. This project expanded to also include a series of tailored TAFE Outreach training programs to reduce barriers to employment, and increased employment of Karen community members in the horticulture sector. STARTTS has built a long-term trusting relationship with the Karen community to help them become stronger since the first refugees arrived from Burma. 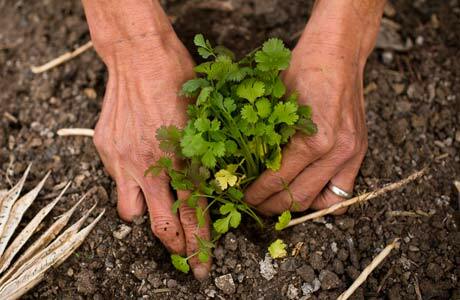 Community gardens not only allow members to grow fresh, organic, familiar vegetables to be able to cook traditional meals and save money; but also contribute to reducing social isolation and feelings of worthlessness, and increased feelings of safety, belonging, confidence and motivation. This project also led to other opportunities related to training and employment which have benefited many community members. Self determination is a very important part of the Karen story, so STARTTS ensured the participants took ownership of their own learning, created a team journey with individuals taking responsibility for different elements based on their skills and passions, and were given the opportunity to control the destiny of the projects. This leadership potential has been recognised by various companies with a number of Karen being employed as team leaders, shift supervisors and senior workers. STARTTS and Fairfield High School have made me feel so welcome and the garden is like a refuge for me. 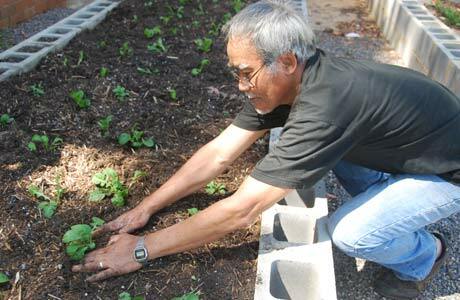 Chit Aye Oh, or Uncle Chit as he is known, is a respected Karen community elder and the driving force behind the Fairfield High School Community Garden. The safe and welcoming space of the garden provides him some solace to endure the separation from his family left behind, and dealing with trauma and ageing in a new country. When fighting broke out in Uncle Chit’s village his house was burnt down and his commercial farm, which his family had operated for generations, was taken over by a company connected to the military. He managed to escape through the jungle with his wife and youngest son, but was separated from his two older sons in the chaos and hasn’t seen one of them since. After 10 years in a Thai refugee camp, Uncle Chit and his wife followed his eldest son to Australia in 2009. An ongoing source of grief for Uncle Chit is the fact that he has so far been unable to be reunited with other sons here in Australia and his wife’s failing health. Despite the pain this has caused Uncle Chit he has, with help from STARTTS, taken a lead role in his community, maintaining the community garden and coping with his losses. Psychosocial support from STARTTS, together with the therapeutic nature of the garden itself, has allowed Uncle Chit to discover a sense of purpose in his new home. The keen interest of the Karen community in working in the farming sector in Australia and barriers to employment led to the creation in 2010 of a tailored TAFE Outreach training program delivered by Campbelltown TAFE as a part of the ‘New Land New Life’ project; a partnership between TAFE Outreach, Centrelink, STARTTS and UWS College. In addition to gaining an understanding of the farming and horticulture industry in Australia, students were supported to improve their confidence, English language skills, understanding of Australian workplace practices and regulations, and to create connections to people and companies in the sector via lectures and work placements. Of the first group of Karen community members who completed the TAFE Outreach course, the majority were immediately employed at a local nursery where they completed their work placement. The story spread amongst the community, people got excited and the movement became unstoppable. 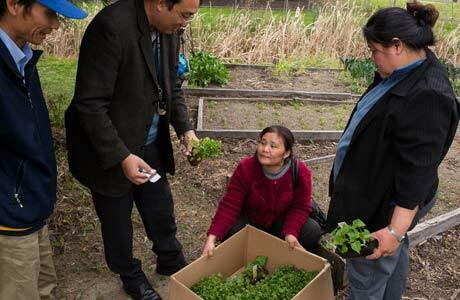 Since then more and more community members have gained employment on farms and gardens. In fact these projects have been so successful that most work age Karen adults are now gainfully employed and the community gardens are mostly managed by older, retired community members. Please contact the Community Development Project Officer, Gary Cachia, on 9646 6700 or by email.